We offer iGaming affiliate program owners advertising space within the VegasHero plugin backend. 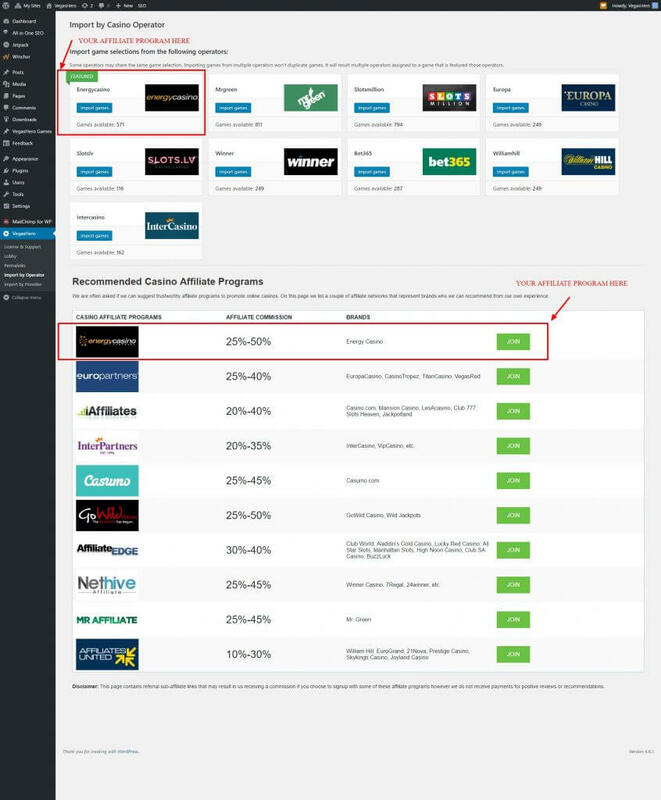 Affiliates who install the plugin will see your offers appearing on their website admin screens. Add your brands under the games import options page and add it to the “Import by Operator” list. There are 2 banner ad slots available in 728×90 size on admin screen. The banners are rotated. We can add your brand to a list of recommended casinos. Finding great affiliates is not an easy task. 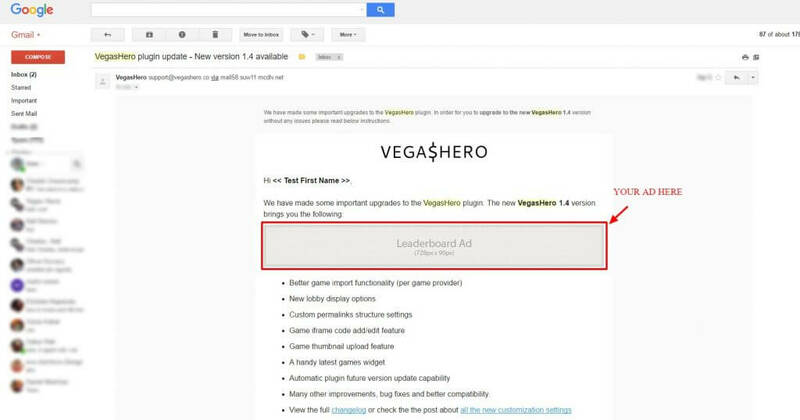 VegasHero can help you to reach out to a laser targeted list of iGaming affiliate site owners. Affiliates who download the VegasHero plugin use WordPress and want to scale their website quickly and efficiently. We send out useful tips, game release news and free resource articles to our customers who we often build close relationships. Your affiliate program / casino product / iGaming brand will be shown in an email newsletter sent to webmasters. Once your content is approved we will publish your article on our blog pages and share it on our social profiles. Important: Please note that all advertising options are subject to our approval.